"I want you to always remember something. The heroes of Iwo Jima are the guys who didn't come back." 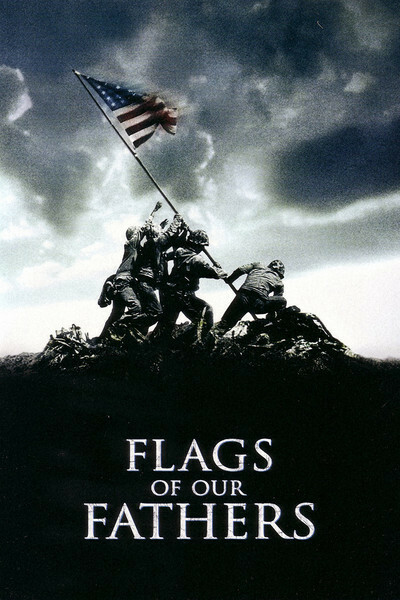 Flags of our Fathers tells the story of the Marines involved in the second flag raising on Mount Suribachi and how the publicity/propaganda of that picture affected their lives. I really want to watch the companion film, Letters From Iwo Jima. "Freedom of speech means you can say whatever you want. What you can't do is lie and expect not to be held accountable for it." I mentioned Denial before, but it's really a great film so I have to mention it again! It's based on Deborah Lipstadt's book History on Trial: My Day in Court with a Holocaust Denier. Deborah Lipstadt was a Holocaust scholar and was sued by Holocaust denier David Irving for libel. 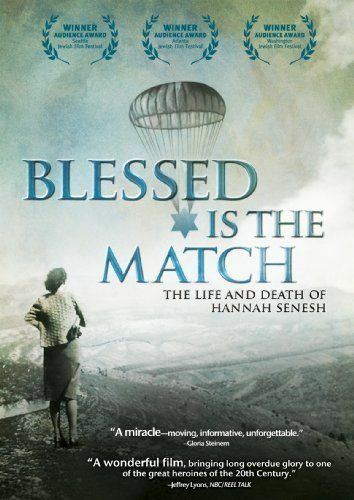 Blessed is the Match is a docudrama about Hannah Senesh, one of 37 Jewish parachutists of Mandate Palestine who assisted in the rescue of Hungarian Jews about to be deported to Auschwitz. She was executed at the age of 23. It's an incredible story. I just got the book Hannah Senesh, Her Life and Diary and I'm looking forward to reading it. Now five WWII films I'm looking forward to watching this year! Dunkirk: Allied soldiers from Belgium, the British Empire, Canada, and France are surrounded by the German army and evacuated during a fierce battle in World War II. Warsaw? WWII? Umm yeah. I gotta watch this. And read the book. Hacksaw Ridge: WWII American Army Medic Desmond T. Doss, who served during the Battle of Okinawa, refuses to kill people and becomes the first man in American history to receive the Medal of Honor without firing a shot. I still haven't seen this! I have it on hold at the library so I WILL be watching this soon! I read the book by Ruta Sepetys and ever since I've been so excited about the movie! There's not a release date yet, but it's supposed to come out this year! This one doesn't have a release date either, but it's coming out this year and I cannot wait! 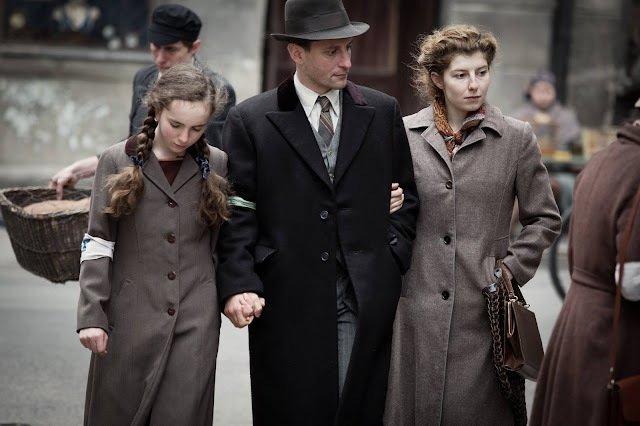 It's a full length documentary about the hidden archives of the Warsaw Ghetto. Please come out soon, PLEASE. What are some of your favorite historical films? What new releases are you looking forward to seeing? 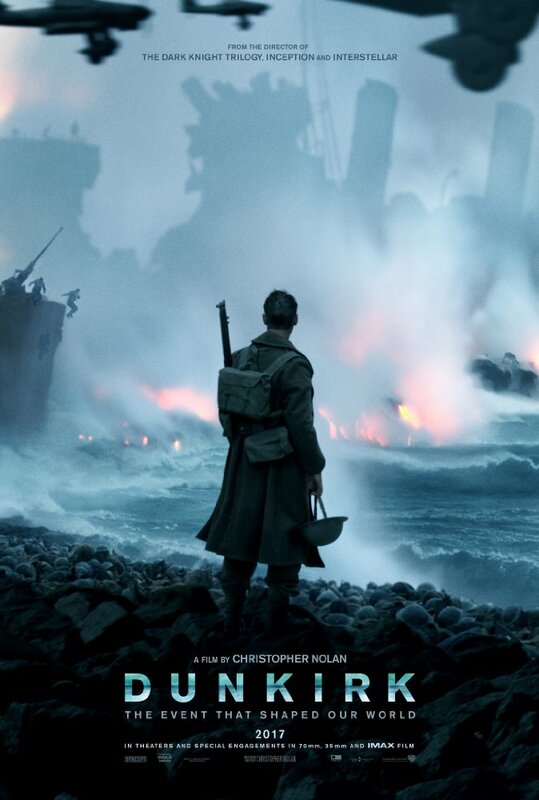 I CANNOT WAIT FOR DUNKIRK EITHER! The trailer looks so good! 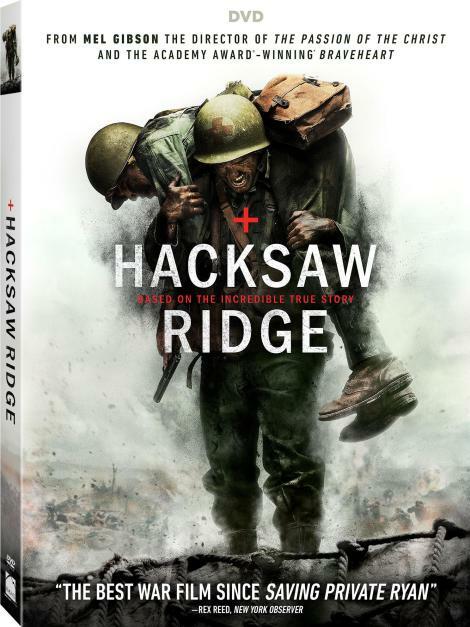 I really wanted to see "Hacksaw Ridge" until I saw it was rated R for violence. I personally don't handle graphic violence to well, so I was disappointed it fell out of my comfort zone. Maybe someday I'll get up the nerve to watch it. I hear so many good things about it that I still kind of want to see it. Also, I really want to see "Denial". I wanted to go see it in theaters but I couldn't find anyone willing to go with me. Okay, Hacksaw Ridge is AMAZING. Like, seriously. It's well worth the watch! My family and I watched it a couple weeks ago, and I can't wait to watch it again. SO good! Yes, "Dunkirk" and "The Zookeepers Wife"!!! I cannot WAIT To see them! "Dunkirk" comes out around my birthday, so unless it's rated R, I'm gonna have to talk my dad into taking me to see it. ;) If it's rated R, I'll have to wait until after it comes out, but oh, it looks amazing! Ahhh I can't wait to watch Hacksaw Ridge!! Come on library, GIVE IT TO ME!! I saw the older version of Dunkirk with John Mills and actually didn't like it too much...I'd recently read a good book on Dunkirk and thought the film didn't capture the triumphant aspect of it so much as it focused on the disaster. I saw the first trailer for this one—it looked great, but I typically can't handle the level of violence in modern-day films either! I'd say a few of my favorites are They Were Expendable, Battleground, The Enemy Below, Tora! Tora! Tora!, and of course The Longest Day. And The Caine Mutiny if you count that as a war film. Hacksaw Ridge was SO good! My boyfriend's family was watching it the other night when I was over and I was so glad I caught it! 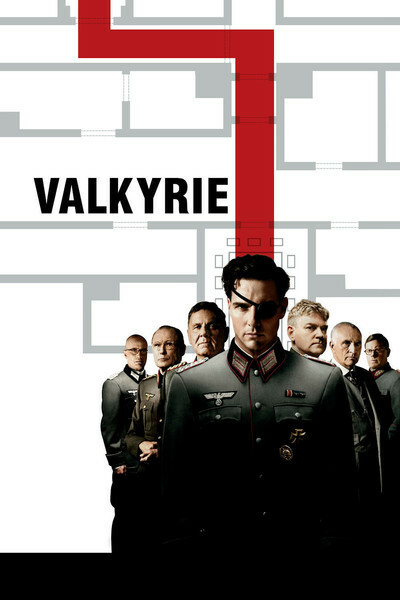 It was a bit more blood-and-guts-y than I usually prefer but as far as war movies go I would say it's one of the best. Amazing story and great acting and soooo many feels. It's kinda one of those movies where the first half is wonderful and happy and then the second half is sadness and misery and rips your heart out (but it's okay because Desmond is just so thoroughly brave and good). Please post a review when you see it because I'd love to hear your thoughts about it! What are some of my favorite historical movies? That's like asking me what are some of my favorite historical books, which is extremely hard since I love history and historical fiction. 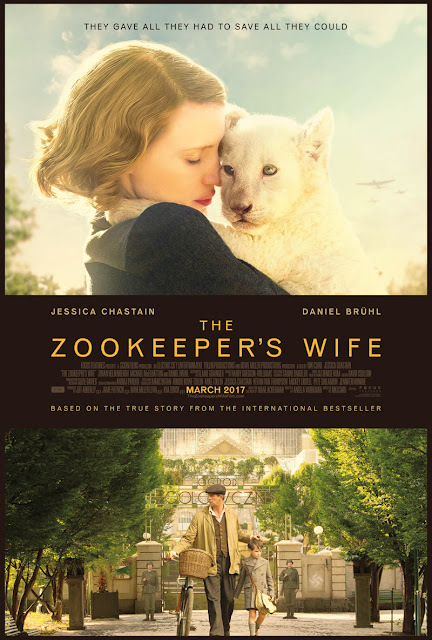 Since you mentioned movies about WWII, I'll do the same. Umm... I really loved "Sophie Scholl:The Final Days," "Life is Beautiful," "Stalag 17," "The Bridge on the River Kwai," "The Sands of Iwo Jima," "The Guns of Navarone," and "Tora!Tora!Tora!" was the first WWII movie I remember seeing. 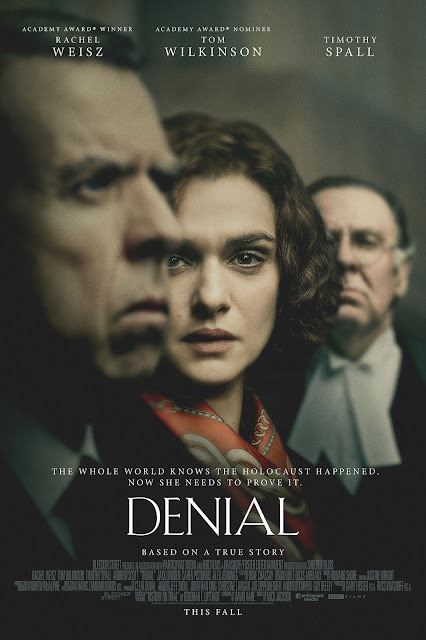 I really want to see "Denial"! That sounds so interesting! "Hackshaw Ridge" also looks interesting, but I don't like the violence in a lot of modern movies, so I'm not sure how I would like it. I know an older lady, who has been a nurse for a long time. She said she didn't mind the violence, since she is used to seeing people injured. 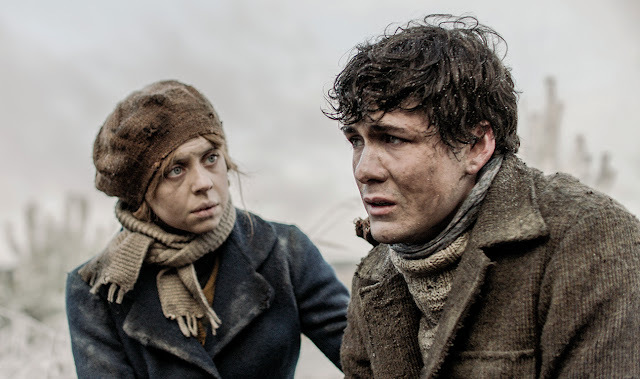 She said when she was watching the film, she kept on thinking about the names of the injuries people were getting and/or how they would have to be cured. I thought that was really funny and interesting how she was using her medical knowledge while watching the film. Whenever you watch any of the movies in this post, I would love to read your reviews! I haven't seen any of these, but they all look so good! I'm a sucker for good WWII movies. And oh my gosh I didn't know that they were turn Between Shades of Grey into a movie! I am dying of excitement now!